Americans make up 4 percent of the world's population, but consume 80 percent of the worlds opioids, according to Dr. Mel Pohl, who spoke to USA Today. The elderly are one group of Americans who have been overloaded with prescription narcotics and government reports show that more seniors than ever are in need of substance abuse treatment. “There’s this growing group of seniors, they have pain, they have anxiety…and a lot of (doctors) have one thing in their tool box — a prescription pad,” said Dr. Pohl. “The doctor wants to make their life better, so they start on the meds.” Patients build up a tolerance over time, or they suffer more pain and request more medication. “And without anyone necessarily realizing, it begins a downward spiral with horrible consequences,” he told the newspaper. In the last decade, the average number of elderly people addicted to or misusing prescription painkillers more than doubled, according to the Substance Abuse and Mental Health Services Administration (SAMHSA). The SAMHSA report also showed a 46 percent increase of adults 55 and up seeking treatment for prescription drugs from 2007 to 2011. Last year, 55 million opioid prescriptions were written for people 65 and older, which is a 20 percent rise over a five year period — almost double the growth rate of the elderly population. 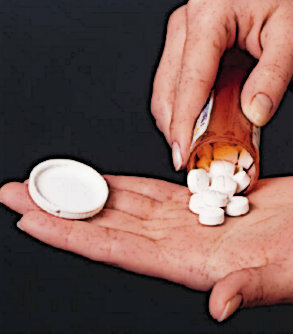 What’s more, the number of benzodiazepine prescriptions written was up 12 percent, to 28.4 million.